I am Professional Gospel artist. I've been singing professionally for over twenty years. I have released multiple CD's over the years. My latest Cd is available on iTunes, Amazon, Cd Baby etc. My audience can always expect a great performance, and you will consistently get 110 percent effort from me. I am a professional singing evangelist from Ohio and have been singing for over 2 decades. Kimberly Palmer-Blackwell Born in Ashtabula, Ohio, May 15, 1967 to Harold and Rosanna Palmer, Sr., the youngest of eight children. Kimberly began a singing career in church at the young age of eight. She graduated from The Pine Forge Academy in 1985 (Pottstown, PA.) and became a recording artist with the P.F.A. Choir, under the direction of Gwen Foster of the Allegheny East Conference of the S.D.A. Church. She appeared on the “It Is Written” television show in 1991 with George Vanderman. She performed the song “Lift Up The Trumpet”, at the General Conference Session in 1985 at the Superdome in New Orleans, LA. In July 2015 she had the pleasure of performing the closing song "Midnight Cry" at the 2015 General Conference session in Texas. She has performed at over 37 Bible Crusades in churches and tent meetings around the U.S., UK, Alaska, Canada and North Caribbean Conference of SDA with Pastor Wilmoth James. In 1998, Kimberly began preaching and doing public speaking workshops in the UK under the direction of Pastor Steve Thomas and Pastor Egland Brooks. In 1994, she became a Bible Worker and Literature Evangelist, which is an extension to her Music Ministry. She has recorded 13 CD’s, 2 with Pine Forge Academy Choir, 3 with sister Faye Palmer-Ried, as “Always Joy”. In 1998 she released her first solo LP entitled “Heaven”. Three years later she released her second album entitled “Wings of a Dove”. On "Wings of a Dove” she wrote the title song and 4 others. It was produced by Bo Wolfand and Aaron Lindsey of Cleveland, Ohio. After that she did 3 projects with England’s Righteous Corner Production. They were Produced by Howard Buckley and Sting Ray Records. 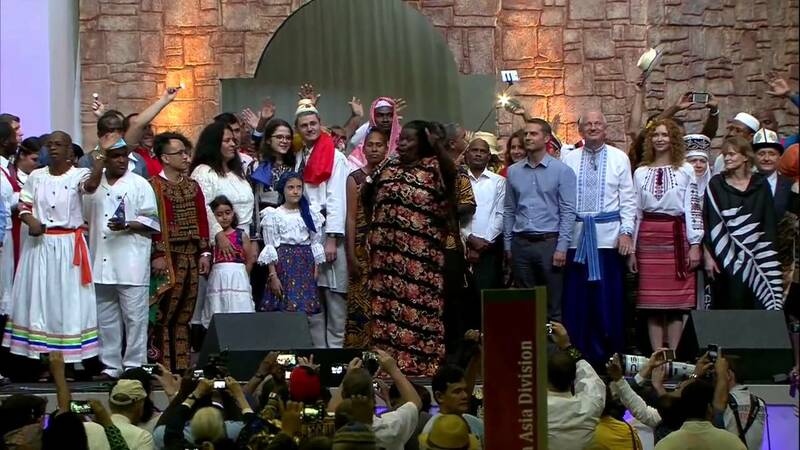 The three hit songs from that album were“Wonderful Peace" , “The Savior is Waiting" and "It takes Everything.” Her aim is to be a Witness for Jesus and her goal is to make it to Heaven. 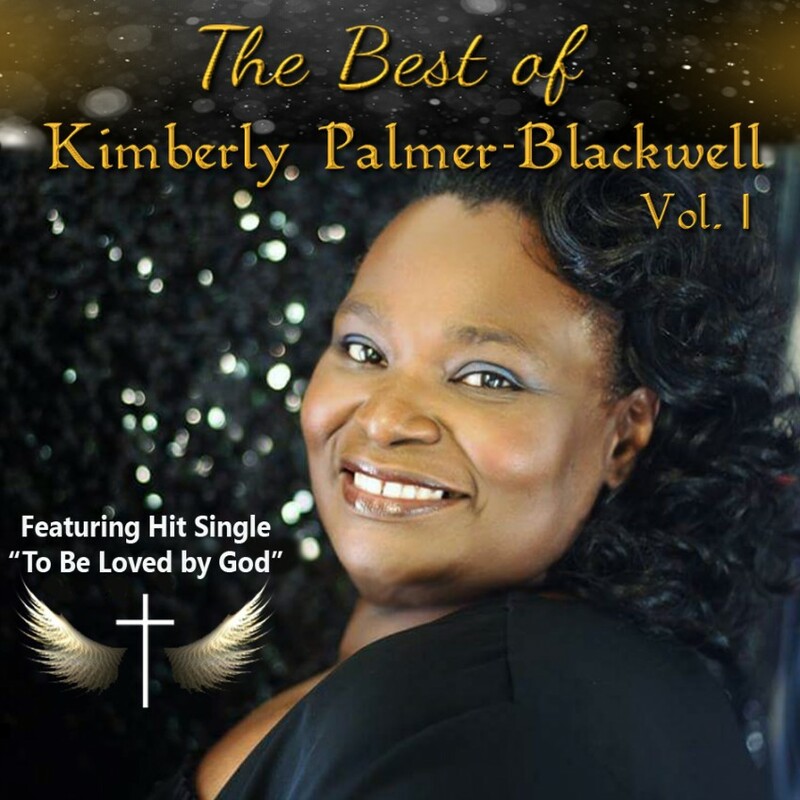 Kimberly's latest project is titled “The Best Of Kimberly Palmer-Blackwell Vol. 1". This CD is filled with very spiritual songs. The first single from this album is entitled "Loved By God". It was written by her Brother Harvey Palmer. It has been a blessing to so many people's lives as well her own. She wrote the song "Willow Tree" a few years ago. The words to that song are very touching. Singing to the glory of God has always been the reason for Kimberly's Ministry. Audio System must be professional and in proper working condition. Some of my biggest influences are Helen Baylor, Aretha Franklin, Tremaine Hawkins, Candi Staton and Shirley Ceasar.